A diamonds cut refers to its proportions and finish which influences the value of a diamond. A skilled professional will work on a diamond stone to give it its cut, transforming it from its natural form, and cutting it into a finished shape to be used in Jewellery. The cut should not be confused with shape, which refers to the shape of the finished diamond, such as: Round Cut Diamonds, Princess Cut Diamonds , Asscher Cut Diamonds, Radiant Cut Diamond, Cushion Cut Diamond, Emerald Cut Diamond, Marquise Cut Diamond, Oval Cut Diamond, Trilliant Cut Diamond, Heart Cut Diamond, Pear Cut Diamond, Baguette Cut Diamond. 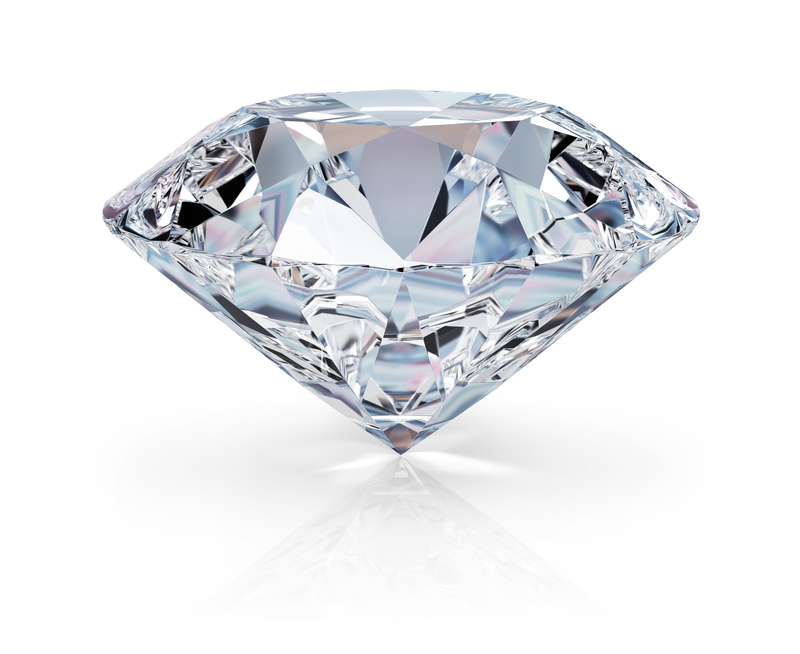 Brilliance – Diamond brilliance refers to the diamond's ability to reflect and refract light. Light enters the diamond and is either reflected out of the top (reflection) or the light travels to the center of the diamond and then bounces off the internal walls (refraction). Fire – is simply the colored sparkle that you can see when the stone is exposed to light. Scintillation – Scintillation is the play of white and colored flashes of light seen when the diamond is viewed in motion. Viewable with the naked eye,scintillation is the life of the diamond. The term 'carat' refers to the weight of a diamond, not the size. One carat of diamond weighs 200 milligrams or 1/5th of a gram. One carat of diamond can be divided as 100 points of diamond. As such, this can then be divided down, so that 50 points of diamond refers to half a carat of diamond and 25 points refers to a quarter of a carat of diamond. Many people consider the carat to be the main factor that determines the value of a diamond, as in many instances the bigger the diamond, the more you'd expect to pay. However, this is not the sole factor in determining a diamond's wealth, and should not be the only factor taken into account, as the other C's can have a big impact. Two diamonds of the same carat may differ dramatically in value, if their colour and clarity are extremely different. So it is important to remember to check the other factors alongside the carat, and not just assume that the higher the carat weight, the higher the value of the diamond, as this is not always the case. Diamonds are beautiful, but they all have small imperfections. This is why every single individual diamond stone has a unique fingerprint. Like colour, the level of imperfections in each diamond can differ hugely, and so clarity refers to the level of flawlessness the diamond has. Imperfections are classed as inclusions (internal flaws), which can make the diamond look cloudy, and blemishes (external marks) such as scratches. The fewer imperfections a diamond has, the more flawless it is, meaning the diamond is considered to be rarer and more valuable. However, bear in mind that most imperfections will be invisible to the naked eye, and perfect clarity is exceedingly rare in a diamond. Assessments are carried out under a 10x magnification, and upon this examination, a diamond will be graded for clarity against an approved scale, as was the case for colour. Inclusions may affect the brilliance or sparkle of a diamond, as it is possible they can cloud the way the light hits or bounces off the diamond. The IGI scale combines grades FL & IF, grouping them together as the very best clarity available. We'll send you a Private Message with a coupon code for free UK P&P when shopping on our website! PawnBroker Gold Jewellery has been established since 1981. Our retail & manufacturing shop is situated in the heart of Doncaster Market Place, Antique & Bargain Stores. We pride ourselves on giving genuine great prices, advice and all work completed swiftly and to the highest standard. We also provide a pawnbroking service for those items which are sentimental a loan is perfect and Gold Jewellery Repairs in Doncaster. We are the longest establish Jewellers in Doncaster. 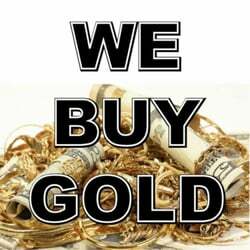 We pay excellent prices for any unwanted, broken or scrap Gold and Silver. No obligation Free Quote! Antique & Bargain Stores LTD. Looking for a Gift for Her.... Know your Birth Stones! Why not choose a piece of jewellery featuring her birthstone. Below is a list of stones and respective months. 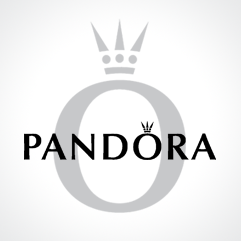 PawnBroker Gold has a Large selection of Birthstone Jewellery in Doncaster. "Something Olde, Something New, Something Borrowed, Something Blue, A Sixpence in your Shoe"
On Sunday 7th October we will be attending the Wedding Fayre at the Dome in Doncaster. This is a fantastic oppourtunity for us to showcase our fantastic selection of Antique & Vintage Gold Wedding Rings. Despite Pre-Owned Wedding Rings being off putting for some couples the price is certainly not to be sniffed at! PawnBroker Gold Doncaster Jewellers has Second Hand Wedding Rings starting from only £40.00. We will be opening from 11am to 3pm with a selection of Wedding Rings, Bridal Necklaces, Diamond Earrings to give your special day that extra sparkle! We will have special offers available on the day. Click Here to view our vast selection of Wedding Bands. Stall Number will be posted nearer the time! Exciting.... New 9ct Gold Stock! Over the past week we have been busy adding new stock to the website, along with a new category to include Miami Iced Jewellery. Here at PawnBroker Gold Doncaster Jewellers, known instore as Antique & Bargain Stores LTD, we have not only a Large selection of Pre-Owned Gold Jewellery and New 9ct Gold Jewellery. The Miami Iced Jewellery is a collection of New 9ct CZ stone set Gold Jewellery including; Belcher Chains, Belcher Bracelets, Ladies 9ct Gold Pink CZ Butterfly Bracelet, 9ct CZ set Gold Tulip Bracelet with and without patterns, 9ct Gold CZ Men's Tiger Ring, 9ct Gold Gent's Tiger Ring, 9ct Gold CZ set Money Tree & 9ct Gold Franco Chain, 9ct Gold CZ Miami Iced Crosses, 9ct Gold Blue CZ Quad Pendant, 9ct Gold Pink CZ Cherub, 9ct Gold Blue CZ Cherub, 9ct Gold White CZ Guardian Angel, 9ct Gold White CZ Cherub, 9ct Gold Stars & Bars Bracelets with Boxing Glove Pendants and Hearts, 9ct Gold CZ Child's ID Bracelet, 9ct Gold CZ Child's Heart Bracelet, 9ct Gold Pink CZ Heart Bracelet & 9ct Gold CZ Butterfly Bracelets. We also have a lay away facility online & in store which allows you to leave a deposit, interest free, and pay the items off in installments allowing you to spread the costs of our goods over an 8 week period. We ship New and Second Hand Gold Jewellery world wide or alternately you can come into our Doncaster Jewellers Store, which is opposite Doncaster Market and local to bus stops and Doncaster Train Interchange, there is also numerous car parking spaces outside and nearby. Do you have a jewellery box full of sentimental broken jewellery? Usually repairs can be done in just a few days or on occasions the same day. We have a tonne of new features than we ever had before.